Couple of week’s back we covered, how Google is heavily involved in research and development of self-driven cars. 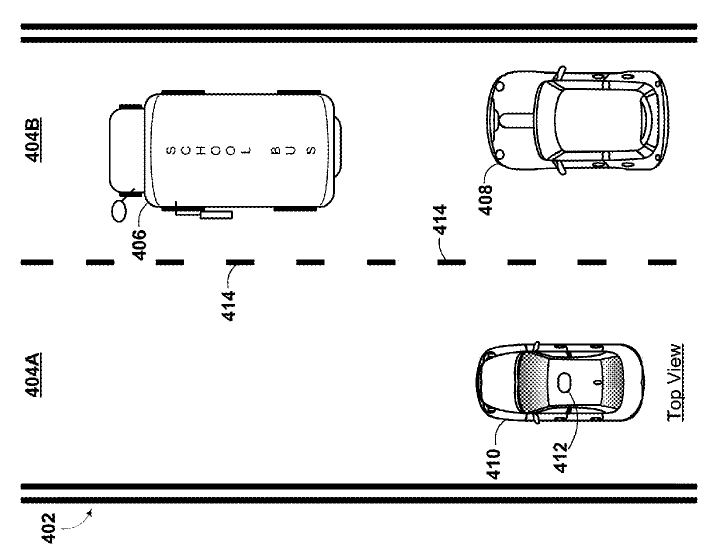 A new patent granted last week takes safety aspect into consideration for autonomous cars. The U.S. Patent No. 9,373,045 titled ‘Bus detection for an autonomous vehicle’, describes how autonomous cars will be able to assess the road environment and the vehicles driven nearby. For example, by determining the size of the vehicle, it will be able to understand what type of vehicle is nearby. What’s even more important is the fact that the invention is directed towards avoiding accidents with School Buses. Taking into consideration the color of the bus, it will be able to change its driving behavior like may be driving slowly till the time bus moves away to a safe distance. The patent was granted within five months of filing which indicates that the concept of detection is fairly novel and that Google will be able to bring this patented feature to life soon. I really like the way you guys display the facts and figures through images. Good job done. This idea is really great and will be very useful in safeguarding the lives of the children travelling in the school buses. Good move by google. Thanks for this interesting article. Google is all-in with the whole idea of auto-piloting and the recent trends indicate safety is their priority. Interesting Times!